Village of Garden City and Adelphi forge crucial partnership. Garden City, NY - November 13, 2015 - Another year, another group of Adelphi University student interns have successfully completed a project for the Village of Garden City. Since 2014, the partnership between the University and the Village has enabled students to gain invaluable work-related experiences that complement their classroom learning. Internships are a key component of the Adelphi education experience and presently more than 200 students are interning at business and non-business organizations throughout the region. Initiated by Neil Halloran, coordinator of internships at the Robert B. Willumstad School of Business, the partnership with the Village is designed to enable Adelphi students to apply their knowledge to address specific problems facing the community. This year, the interns worked closely with the Recreation and Parks Department on a strategic plan to invest in the Village’s recreational facilities based on need, usage and priorities. The student interns participating this year were: Nathaniel Sokolow, Diana Macuil and Aleksandra Soshnin. For more information about The Robert B. Willumstad Internship and Mentorship Program, visit here. Adelphi University, chartered in 1896, is a nationally ranked doctoral research university where students succeed by gaining the skills, knowledge and resources to thrive as professionals and active citizens in an interconnected and fast-paced global society. 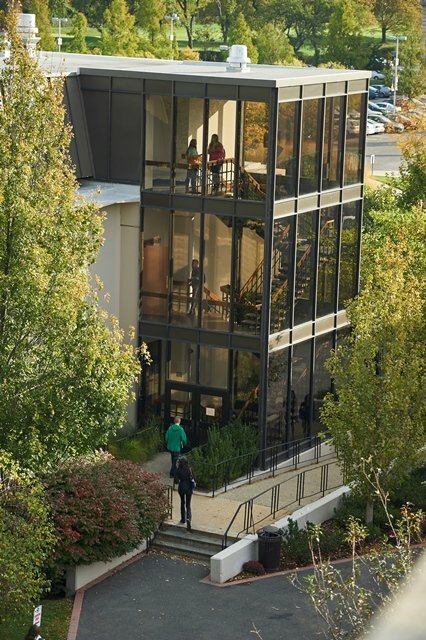 Today, nearly 8,000 students from 38 states and 46 countries pursue degrees in person and online through Adelphi’s eight distinguished schools and programs—the College of Arts and Sciences, the Gordon F. Derner Institute of Advanced Psychological Studies, the Honors College, the Robert B. Willumstad School of Business, the Ruth S. Ammon School of Education, University College, the College of Nursing and Public Health and the School of Social Work. Chartered in 1896, Adelphi is known for offering a personalized education—one is which students are mentored by talented and committed faculty members and readily find opportunities to initiate, innovate, explore and understand. With dynamic learning hubs on Long Island, in Manhattan and in the Hudson Valley, Adelphi serves communities, both regionally and globally, through the research and practice of its faculty, the collaborative initiatives undertaken by its centers and programs, the staging of distinguished cultural events and, most essentially, the education of future leaders and informed citizens. Subject: LongIsland.com - Your Name sent you Article details of "Adelphi University’s Business School Interns Make the Best Impression"